If you’re a millennial – and had an enjoyable childhood whatsoever – you're surely familiar with the Harvest Moon games. Yasuhiro Wada, the original mastermind behind this series, has dabbled in many areas throughout his career – specifically focusing on simulation games. However, his most recent project, Little Dragons Café, is a different beast altogether. Best described as a rhythm-based storybook sim-adventure, Wada-san has once again invented an entirely new genre of video game for fans to enjoy. He recently answered some of our most burning questions around the title, such as why he chose to create characters that are “a bunch of losers” and “no-good dorks” (his words, not ours). He also divulged how he’s changed as a game designer over the years, where he sees the future of simulation games, and that most personal of secrets: how he would name his very own pet dragon. Nintendo Life: Congratulations on Little Dragons Café! What was the inspiration behind this unique new game? 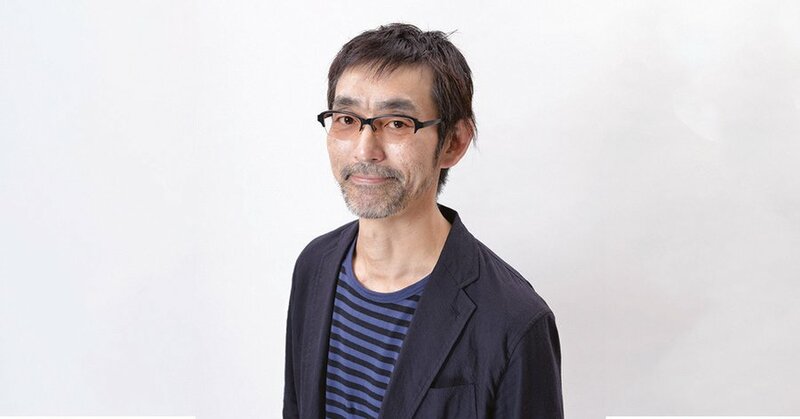 Yasuhiro Wada: Well, I was originally working on a game design about an inn but I felt there wasn’t enough characterisation. At the time, I was also working on a storybook project with Igusa Matsuyama and decided to combine the two together. That’s how it all began. 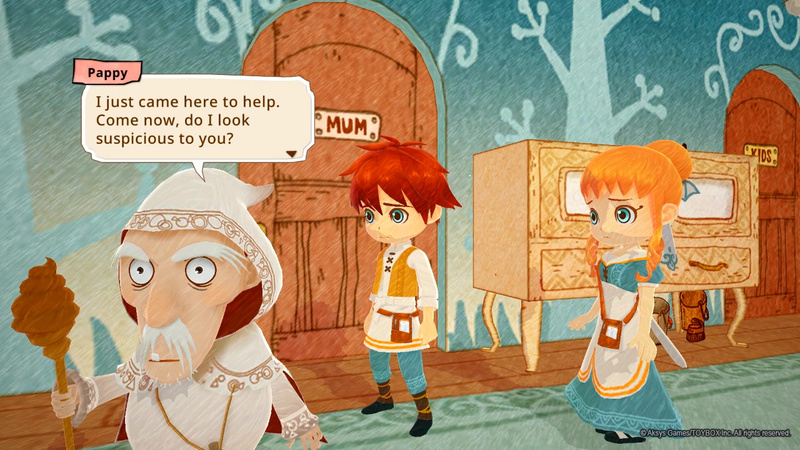 The art style in Little Dragons Café is beautiful – and very different from most other games. What inspired your team to design these storybook-like graphics? Again, developing the storybook project with Igusa Matsuyama definitely had a huge influence. The issue for the development team was re-creating that art style faithfully on to the screen. One of Harvest Moon fans’ favourite elements has always been gathering ingredients to use in recipes. Was this part of your decision to create a game with a focus on cooking? Actually, I think that cooking was something that has always been central to my game designs. It’s something that is directly linked to our everyday lives and this may sound obvious but, there are soul foods in different countries, regional cuisines within the same country, the taste of home cooking, and all these are deeply rooted and connected to our lives. I wanted to make a game and a story that pivoted around that. Compared to other genres, the Nintendo Switch has very few core simulation games at the moment – even though its mobility makes it an ideal platform for them. 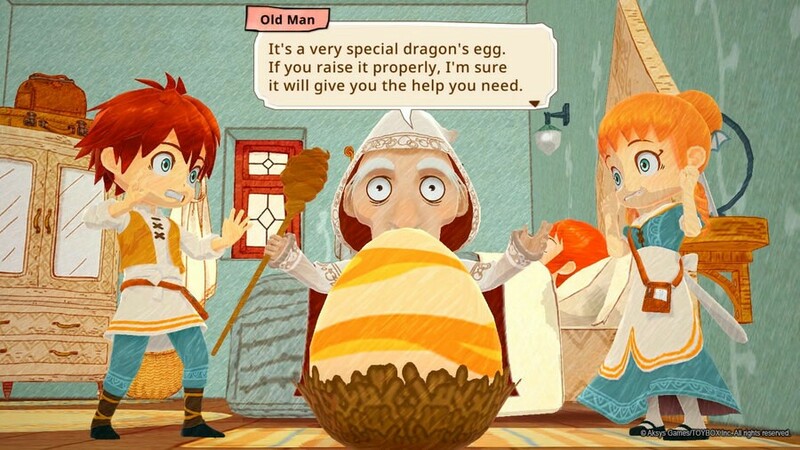 Do you think this has increased the hunger and excitement for a game like Little Dragons Café? We’ll have to see. If that were the case, I’d be very happy. One of the reasons fans adore your games is the sheer depth of the characters’ personalities and backstories – which is uncommon. What made you realise that this was an important element to focus on in your games? If it were about fighting or competing, I think the game would be more accessible as it would be much simpler and easier to understand. The games I create, on the other hand, are all about developing something that’s never been done before so I always felt that it’s important to carefully and attentively design the characters and game world so that they act as the entry points to the game. Hopefully, people feel that those elements are attractive and make them want to start playing it. You’d previously stated in an interview: "All the characters that appear in this game are just a bunch of losers and a no-good bunch of dorks... What the player feels from playing this game is, when they see this bunch of losers, what they’ll think is, 'I’m better than these guys.'" What do you think is so attractive about this for the players, compared to other games? I think this question is perhaps more to do with characterisation and story rather than games in general but my story is not about a strong hero vanquishing a big foe. Rather, I wanted to portray a story where characters that everyone can closely relate to, who seemingly don’t appear to excel in anything particular, manage to overcome difficulties and hardships through the effort of joining forces and working together, in order to attain happiness. The original Harvest Moon was released over 20 years ago now. How do you feel you’ve changed as a video game creator since then? What are the biggest differences between your work in Little Dragons Café and Harvest Moon? I’d be happy if more people than before shared the view that as a video game creator, we are actually not bound by a single idea but free to imagine and create games with a more open mind. I get a feeling that since the arrival of Harvest Moon, the video game genre has certainly diversified. 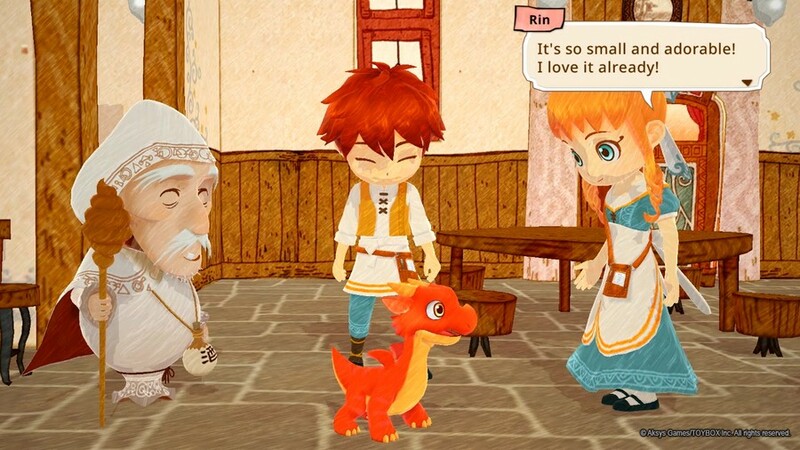 The main difference would be that although there is a simulation element on Little Dragon Café, it actually has a stronger emphasis on adventure in comparison to Harvest Moon which is more simulation focused. With Birthdays the Beginning, it seemed as if you had moved away from creating simulation-focused games, and more towards the sandbox style. However, Little Dragons Café feels closer to the gameplay of Harvest Moon. What made you decide to go back to your roots? Where do you see simulation games heading in the next few years - especially considering the trend of mobile gaming on systems like the Nintendo Switch? Will this benefit the genre? I think the genre is very suitable for mobile gaming systems and will benefit greatly from the fact that you can take it with you and also play for a bit and then resume playing later whenever you want. In doing so, it would be amazing if players find new ways to play and enjoy a simulation game on the go! 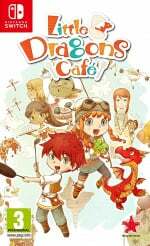 Can we expect to see more fantasy simulation games like Little Dragons Café from your team on the Switch in the near future? I can’t say for sure but we are always striving to try new projects and ideas so the possibility isn’t zero. We hope you’ll look forward to it if we do decide to create something like that. Saving the most important question for last: if you had a pet dragon, what would you name it? The most important question could've been do the dev team plan to fix the widely reported loading, stuttering, camera issues in the Switch version with a day one patch or a patch further down the line? That's the one question i wanted an answer to. Sounds appealling. Meanwhile I'm still waiting for a proper Harvest Moon game for the switch, not the one we got, but the one we deserve. @Folkloner Yes, this would have been a great question to ask - unfortunately, the Q&A was conducted before even the North American release of the game, so there was no way to ask any questions related to gameplay or the performance of the game. @MrJuancho I agree - would love a new Story of Seasons or related title. I would still love to see Egglia on a Nintendo platform when it comes to mobile type games. Really under rated with great art style just like this. Very excited to pick up the game on the 21st but I really hope they've looked into improving the overall performance of the game by then. The more I see of this game, the more I get enamored by it. However, they have to choose. It's either a $60 price tag or a buggy state - I'm not wiling to deal with both. @austin_voigt Ah okay. Fair enough. Okay, i have the game now. 1. I realized every games created by Yasuhiro Wada (Harvest Moon series and the other games) actually was good BUT..... Almost all of his games also have some Glitches, Loading issues, bugs, graphical issues, etc. 2. Yasuhiro Wada games by mostly Did NOT Maximize the potential from each games. Their games were focused on the storyline but Forgot the gameplay mechanism. Let me critique some of his games. The reason was because of the Main goal of that game (Finding a way to stop the constructor to develop the village into resort by showing them some specialty like Endangered species, won the competition, Rare species, etc). The good was the graphics on early PS2 era (60 fps of Cell Shading with 360° camera angle) but the bad was the purpose you play the game. On Save the Homeland, you JUST play your hero to find the Ending ONLY before last day of Winter and then the game will be finished with Happy Ending, then you go back from 1st Spring to replay again from beginning over and over again. The worst part were No Mayor, No festivals, No Proper house upgrade, Ridiculous recipes ingredients to make proper foods, 4 kinds of crops ONLY (Potato, Tomato, Corn & Breadfruit), No Marriage, No Mines. The game was fun ONLY for the first play but after you finished one Ending, you felt enough and stop playing after you felt the Repetitiveness from finding the Endings Only. The reason i gave it Low score due to the storyline concept that affected the Whole gameplay by entirely. The goal of that game was built your Family's life. You play as farmer that will get married (You had "forced" to get married or Game Over) & then you will have baby that will grow up into adult stage. As your kid grew up, your character and other villagers will aging too. The game was divided into Six stages (Beginning, Have a baby, Toddler, Teen, Adult, Twilight) and at the end of Twilight stage, your character WILL Passed away due to aging. After the Ending, you can continue the games Infinetely (Open Ending). The good from that games were the first time Full 3D Harvest Moon games. But the bad were so many such as Lack of proper shops (Supermarket, Blacksmith, Carpentery, etc), No Festivals, No Mayor, the world that was so Empty due to Nothing you can find the interesting places, the crops that Only one time harvest, the Main goal was just Raise your kid. Overall, the game was slightly better than Save the Homeland but still Too Repetitive and boring after you play the Second year. Okay , back to Little Dragon Cafe. 1. Loading time. Too frequent. 4. 3D rendering. I noticed the game didn't really maximised the potential of Open World style. You will noticed some objects will suddenly disappeared from your sight when you were far away from them (Not blurred). Well, i really hope Marvelous & Yasuhiro Wada really push their games to have proper gameplay mechanism because if the Harvest Moon series or the Spin Off still same Mediocre quality, i can find Better Harvest Moon / Rune Factory games from other 3rd party developers such as My Time at Portia & Re:Legend. Those games offers Better experience of Harvest Moon / Rune Factory games. @ricklongo I definitely think that’s fair, and a good point. Will be as big a failure as in Japan. With all the big games out, 59.99 for this is insane.